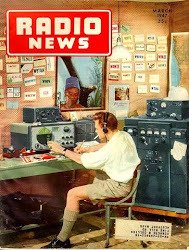 Nobby G0VJG will be on from June 14 to 28 on SSB only. QSL to G4DFI. Col, MM0NDX of DX-World.net, plans to be active as OJ0/MM0NDX from Market Reef (weather permitting) during June 27-29. KH1/KH7Z: June 27 to July 7. > not interesting as FT8 PC game planned only. Sept. 28 to about Oct 14. Oct. 15 to Nov. 4. LZ1GC Stan is planning a two man operation from Vanuatu, but first a single op DXpedition from Samoa. It all starts September 28, as 5W0GC from Apia, Upolu Island (OC-097) by Stan. He plans to be on CW, SSB and RTTY on 60 Meters.